High definition scan is now available for download, click here! 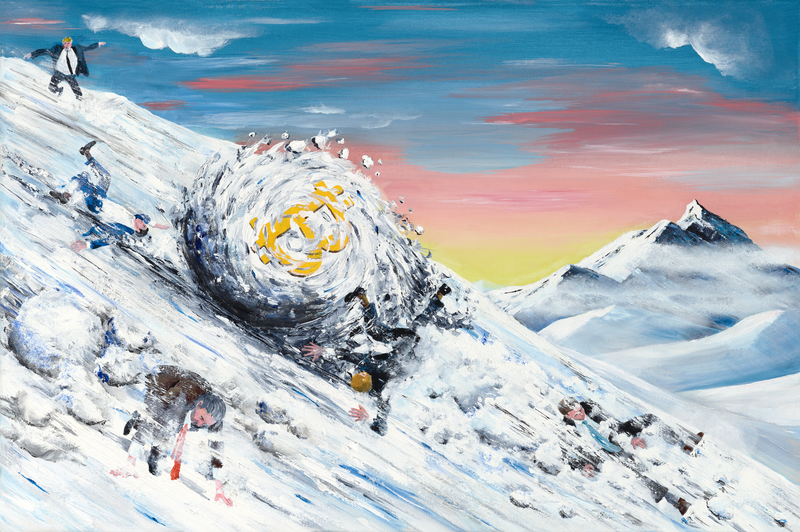 Statement from the Artist: A dramatic scene of a seemingly unstoppable snowball rolling down a mountainside. The snowball aims to capture the growth and disruptive nature of the Bitcoin network and its underlying technology.